Although best known for La Seu, its imposing 13th-century Gothic cathedral, Palma is home to many extraordinary pieces of architectural brilliance. Keep your eyes peeled, and don’t forget to look up when walking the streets, and you’ll be met with impressive and innovative pieces of architecture from across the ages. 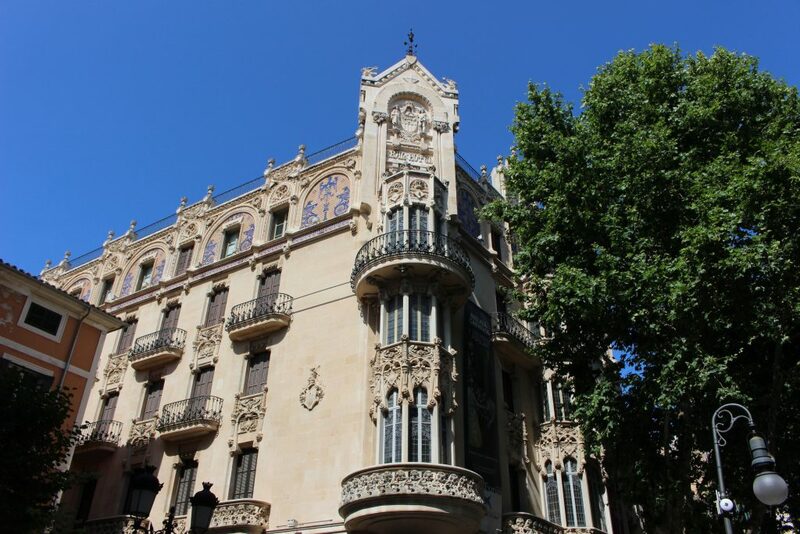 Join us on our tour of the best buildings and landmarks around the Mallorcan capital. These two buildings were designed simultaneously in 1908 and 1909, and are separated by a narrow street. There had been plans to build a bridge to connect the two, but planning permission was not granted. The buildings have matching façades and interior layouts strongly influenced by Modernist and Art Nouveau styles. The famous Catalan architect Gaudí’s influence is also strongly evident in the parabolic window and doorway arches, as well as the undulating style of the building. Opposite the Edifici is the old Gran Hotel, Palma’s first luxury hotel which opened in 1903. 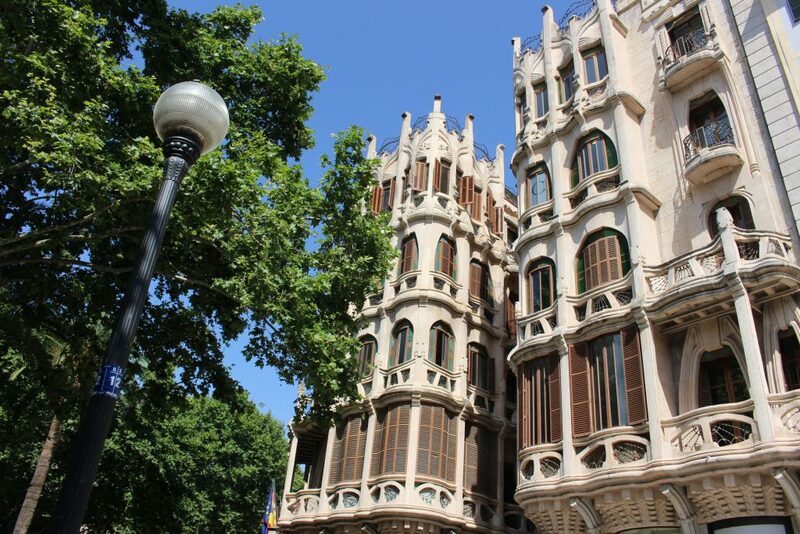 Designed by Catalan architect Lluis Domenech I Montaner, the modern Art Nouveau style landmark was the first of its kind in the city, sparking a wave of new buildings with this attractive and innovative architecture. The building now houses the Fundacio La Caixa, a fabulous gallery with a permanent exhibition from Catalan artist Herman Anglada-Camarasa as well as a rotation of temporary exhibitions. Take advantage of the views of the Edifici Casasayas and Pensión Menorquina across the road while enjoying a coffee and croissant at the hotel café before wandering into the arthouse bookstore, all under the same roof. Gaudí spent ten years on the island, and the longevity and success of the Modernist movement in the Balearics is largely attributed to his presence. 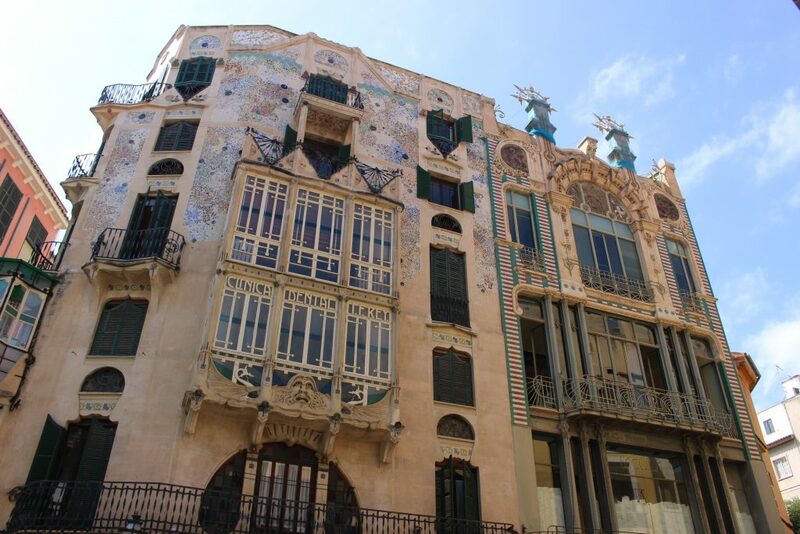 Can Forteza Rey is a wonderful example of the Modernist Art Nouveau movement in action. The highly stylised decoration of the façade is continued into the interior of the building to an unusual degree. The five-storey building was originally intended as an apartment block and architect Lluís Forteza Rey created various sculptural decorations on the gallery and bay windows with superimposed fruit, flowers, vegetables and animals, using multicoloured broken tiles, wood, iron, glass, ceramic plates and disks to create his effects. Look out for the terrifying face flanked by winged dragons which stands out on the second floor. The earliest documents relating to the cathedral date back to 1230, when the altar stone was consecrated on the site of the old Moorish grand mosque. Construction of the main building began in the reign of King James II, starting with the Royal Chapel. During the 17th and 18th centuries the Baroque influence arrived in the form of altarpieces, paintings and sculptures. Gaudí was invited at the start of the 20th century and his work on the cathedral spanned the period from 1904-1914. His changes were mostly cosmetic interior alterations, and many were abandoned after a difference of opinion between the artist and the contractor. The cathedral boasts seven rose windows and 83 windows which have led to its nickname ‘the cathedral of light’. 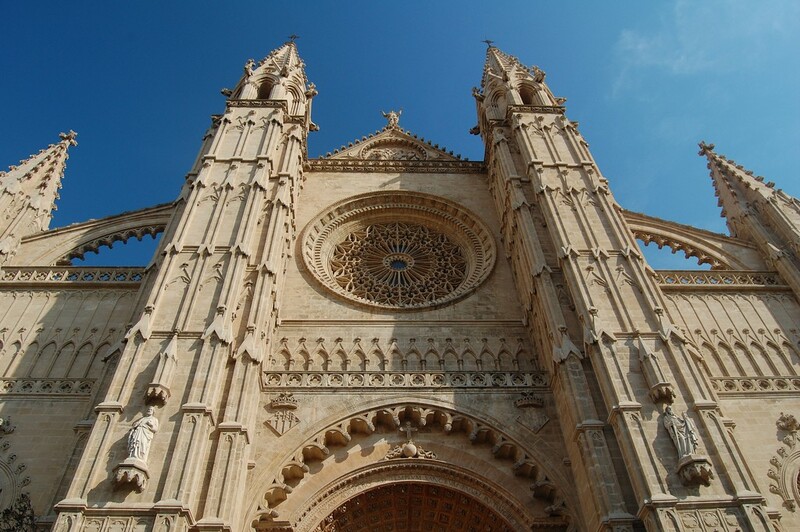 The majestic cathedral stands as testament to the innovation and artistry of the multiple generations and talents that worked on and influenced what is now recognised as Mallorca’s most famous landmark. This beautiful building with castle-like turrets and delicate stonemasonry was once a major mercantile exchange and meeting place. 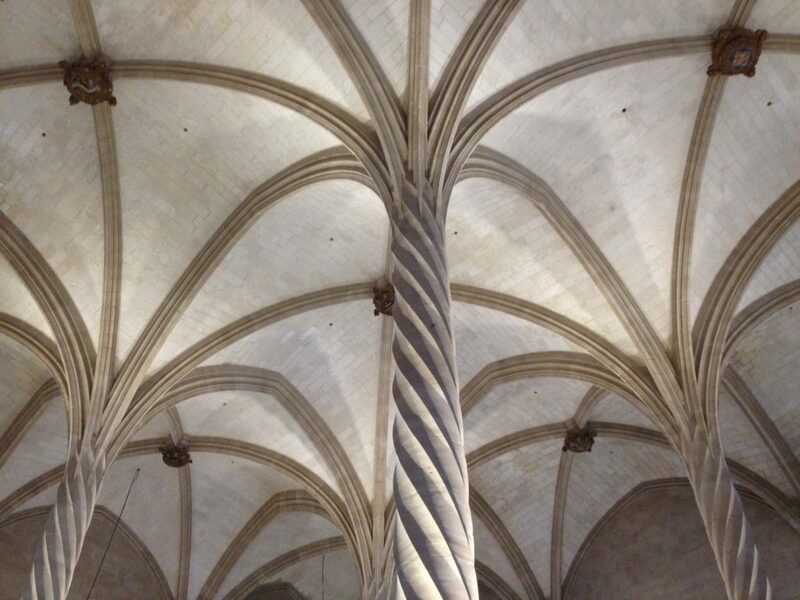 Built between 1420 and 1452 by Guillem Sagrera, the ribbed vault ceiling is divided into twelve parts each with its own spiral pillar resembling the palm trees lining the outside pavements. The Angel Custodio visible above the main entrance was made by the architect himself and holds a band reading ‘Defender of Merchandise’. The wonderfully resonant interior produces an impressive echo, while the views from the pretty Gothic-style arch windows into the courtyard beyond are definitely worth a peek. 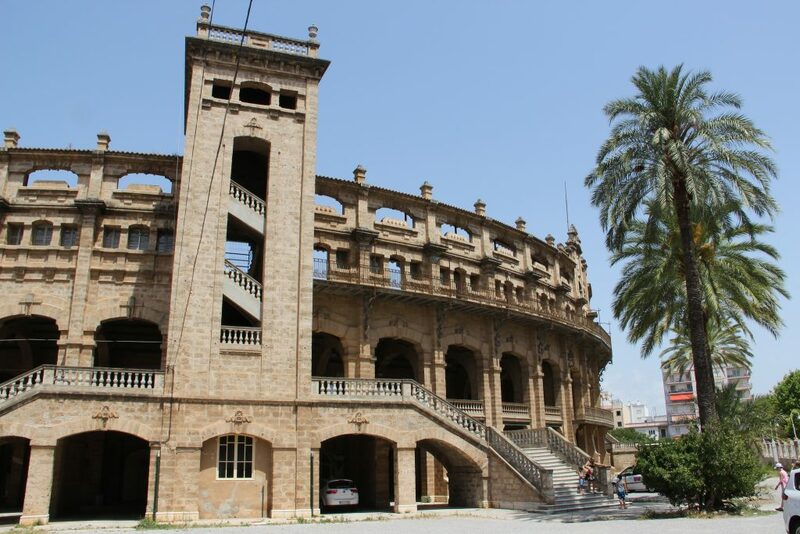 Located in the north district of Palma on Gasper Bennassar Avenue, named after the famed architect responsible for the design of the arena, this is Palma’s bull fighting ring, popularly known as the Balearic Coliseum. Consisting of 11,620 seats and four boxes, the ring is still used for sporting events and is best known for hosting crowd summer concerts, with people flocking to see the likes of Sting, Dire Straits, Simply Red, and BB King. 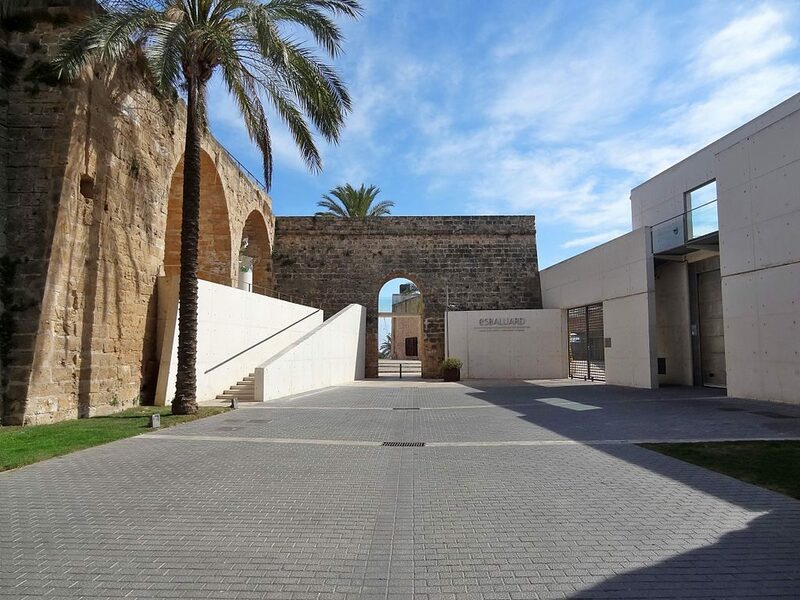 Masterfully built into the old perimeter walls of the city, the Es Baluard Museum of Modern and Contemporary Art boasts some of the finest views in Palma. The Sant Pere Bastion was constructed in the 16th century and is strategically placed to defend the city against attack. After falling into a state of disrepair, it was rescued by Palma Council who renovated the site and opened the gallery in January 2004. With its clean lines and clear respect for its historical origins, the building provides a striking contrast between the contemporary concrete and glass and the ancient stonework. These 10th-century baths are nearly all that remain from the Arab city of Medina Mayurqa, the original Moorish name for Palma. 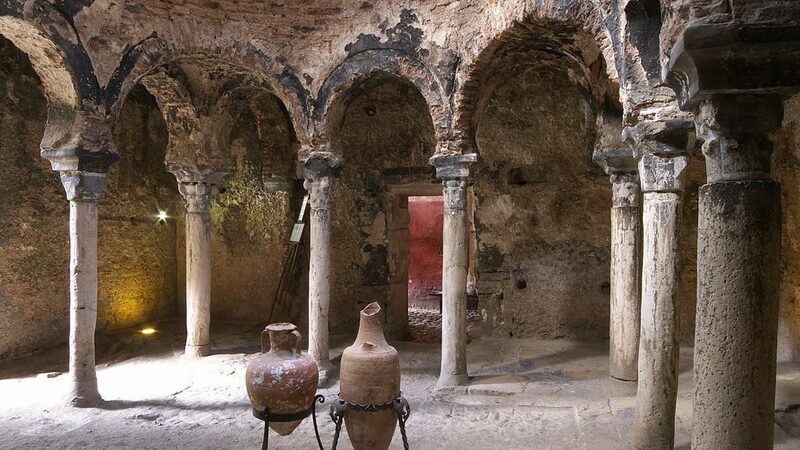 With construction elements such as the interior columns recycled from bygone eras including Byzantine and Roman, these baths are part of the former orchard of Can Fontirroig manor house. The hammam were meeting places as well as wash houses, and wandering the pretty outside courtyards with plum and orange trees, one can easily imagine ancient locals mingling in the cool shade after the heat of the baths. Particularly notable for its striking circular shape, Bellver Castle is one of just a few round castles in Europe. 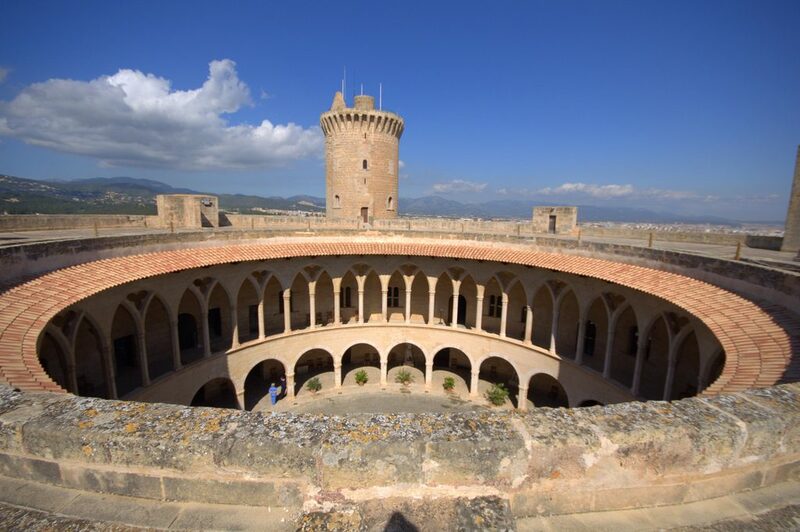 Originally built as a royal residence for King James II of Mallorca in the 14th century, the castle successfully resisted two attempted sieges in the Medieval era. It was later used as military prison from the 18th to the 20th century, before coming under civilian control. The city’s Museum of History is located inside and is well worth a visit, while the views through the main arch of the castle and the top parapets are outstanding. Note that the castle is accessed on foot through the surrounding fragrant pine woods.